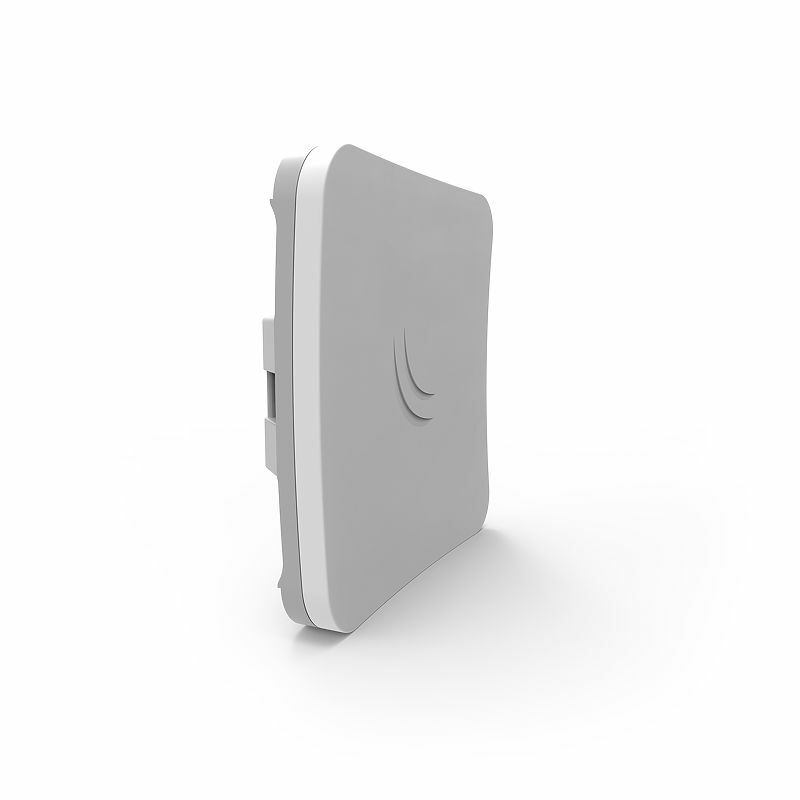 The SXTSQ 5acD (sxtsq) is a small client access antenna that is 802.11 standards compliant antenna (and also nstream mikrotik if available). The device was released in early 2018 and is capable of gigabit-level speeds with 80Mhz wide 802.11ac wifi connections. Please be sure to see MikroTik Specifics for extra info about Mikrotik devices, how to connect, etc. Device specs are available at mikrotik.com. Mikrotik software usually requires a license, though all Mikrotik devices come with an internal license, which varies with the model. This antenna comes with a “Level 3” license which technically only allows it to function as a CPE, not an AP. Therefore this device can not be used as a base station. On the positive side, it is a great CPE and can connect to DFS channels ( international version ) and other intersting features such as EAP TTLS authentication. Be aware during purchase – this antenna has a US version and an International version. The US version is locked to “united states3” channels which are the non-DFS range. The international version also has US settings, but it has two additional “united states” channel selections all for valid legal US channels. To function on LinkNYC and other DFS networks, the international version is required, but be sure to put it in “united states2” mode before using it. To factory reset an SXTsq, hold down the RouterBOOT reset button (located behind the front panel) during boot time until LED light starts flashing, then release the button to reset RouterOS configuration (total 5 seconds). The initial IP address out of the box is 192.168.88.1, so set you computer’s local IP (windows|mac to something similar (e.g. 192.168.88.5), and browse to http://192.168.88.1. The username is admin and there is no password. The following is a detailed explanation of the unencrypted config. Please go to hardware/config for the VPN config and all of the other configs. LinkNYC kiosks have both an unencrypted and encrypted network available. They function similarly and have the same Internet available. The encrypted version uses a feature marketed as “passpoint” which allows you to roam across an area with a user name and password using [EAP TTLS](https://en.wikipedia.org/wiki/Extensible_Authentication_Protocol#EAP_Tunneled_Transport_Layer_Security_(EAP-TTLS). The encrypted network is more secure because no traffic can be sniffed between the kiosk and your CPE. Another benefit is it skips the captive portal (a webpage that pops up when you connect). When you login to the LinkNYC unencrypted network, a captive portal prompts you to click a button, and if your device is supported, download a profile and reconnect to the encrypted network. Currently only iPhones are supported with the auto-config feature. However, it’s technically possible to connect with any capable device once you have a connection profile. By taking the profile from an iPhone, we can extract the pieces needed to connect a standard antenna such as the sxtsq. After powering on an sxtsq you should configure it as a CPE with routing, NAT, and DHCP on the internal port. Be sure to shutdown the antenna properly the first time to ensure the config is saved. This is not required, but Mikrotik antennas are especially sensitive to being powered off with no proper shutdown.